Thinking of traveling to Alaska? 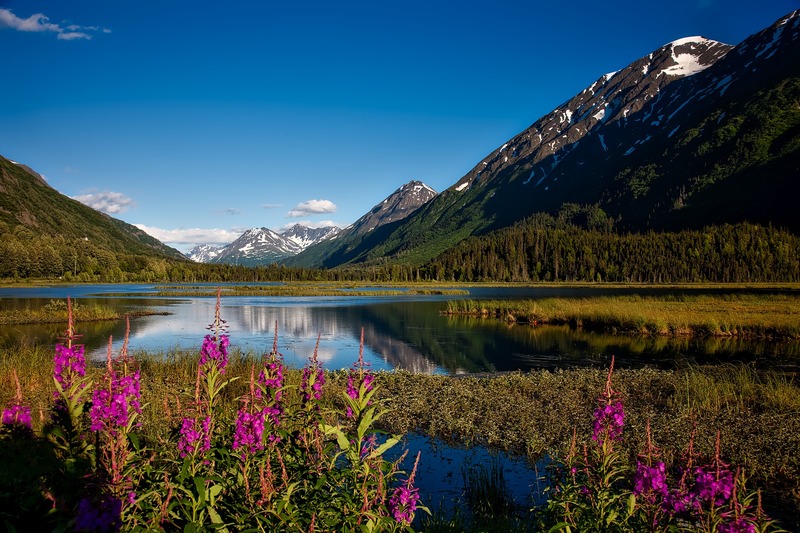 In case you have not heard, Alaska is a fabulous U.S. state with epic landscapes and seascapes, with mountains and flowers that will capture your heart! Traveling to Alaska is very special because Alaska is so diverse that every single day will hold its own special treasures for you to discover. I have been traveling to Alaska for several years now. I road tripped to Alaska from Florida in an RV with my family twice, and last year I flew to Alaska, rented a car and drove around the state. 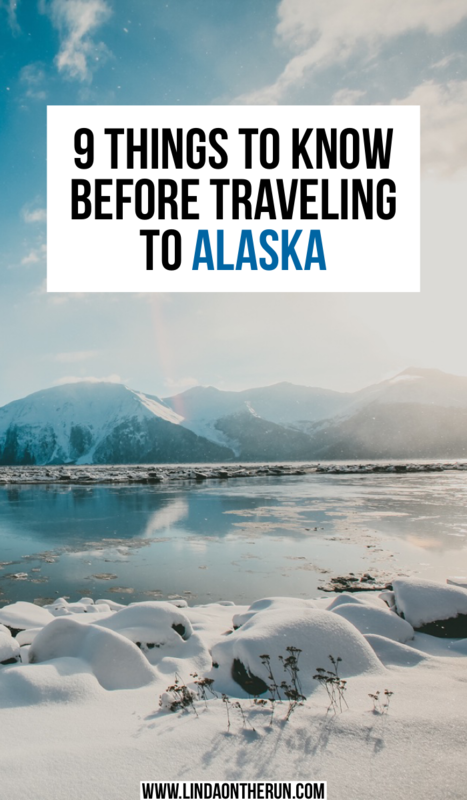 If you are one of the fortunate ones planning a trip to Alaska, here are 9 things to know before traveling to Alaska. As dreamily remote as Alaska is, several major airlines fly their big jets into Ted Stevens Anchorage International Airport and Fairbanks International Airport, and there are lots of flights and options available when traveling to Alaska by air. If you book your flights early and have the luxury of flexible flying dates, you may be able to score a better rate. Most flights make one stop along the way, and on your origination city that could be either in the Pacific Northwest or even Atlanta. Once you arrive in Alaska there are smaller planes you can charter to take you to remote Alaskan villages and inaccessible locations. During the shoulder seasons and all summer long people are traveling to Alaska on cruise ships. You will travel to popular ports or quieter smaller charming towns, depending on your preferences. After your cruise, you may still be interested in seeing more of the wonders that are Alaska, so consider adding a land package to your cruise. This is an affordable and easy option to assist in your discovery of all Alaska has to offer. Road tripping to Alaska does demand some pre-planning. There are many routes to select from, depending on your dream and what you want to see along the way. 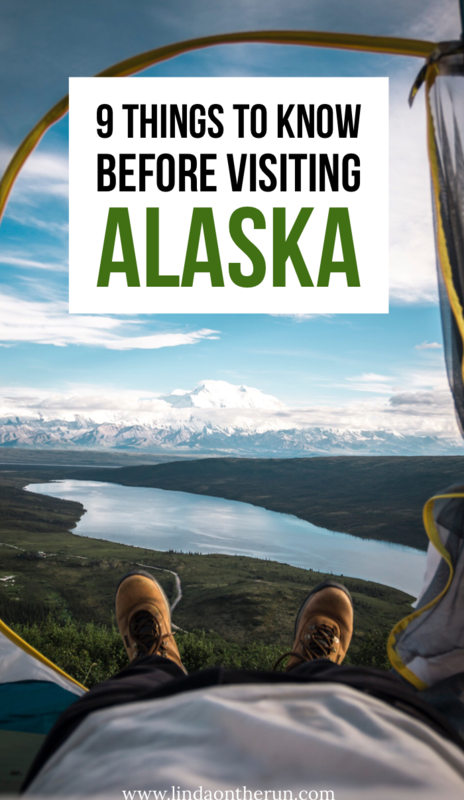 Consider giving yourself one week each way when traveling to Alaska. It is over 2,000 miles from Seattle to Anchorage. The Alaska Highway is full of history and you will see Alaska up close and personal. We always used The Milepost whenever we were road tripping in Alaska. Read next: 7 Tips On How To Survive Long Flights Read next: How To Avoid Getting Sick On A Plane. Not everyone is like my family and me, wanting to road trip around Alaska. There are many other options for getting around and discovering Alaska. If you will be renting a car or a recreational vehicle (RV) while in Alaska or traveling to Alaska in one as we did, the price of gas is anywhere from 33 cents to 50 cents above the national average, not too bad for a place where everything has to be shipped in. There are no superhighways or rush hour traffic in Alaska. In your own vehicle, you have the freedom to travel at your own pace and stop wherever and whenever you want. Not wanting to drive? Consider a bus tour. Several companies offer escorted tours with guides very familiar with the area. Everything is organized and all you have to do is show up. The guide will narrate along the way and your job is to sit back and relax! 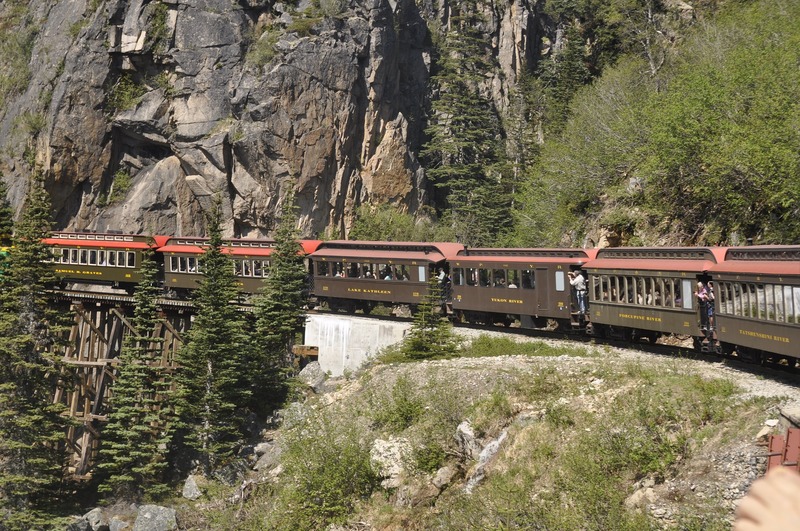 Train travel is another popular way to see all the beauty Alaska has to offer. There are no high-speed trains in Alaska, they are truly for sightseeing. You will be rewarded with breathtaking vistas all along the way. This is one time the journey is more important than the destination. Train travel is a very relaxing way to see Alaska. Whichever way you decide to travel around Alaska, patience is your friend. You do not want to rush. Take your time so you can absorb all the sights and sounds and smells of Alaska. Read next: Seven stops to include on your perfect Alaska itinerary as you begin to plan your dream trip of traveling to Alaska. 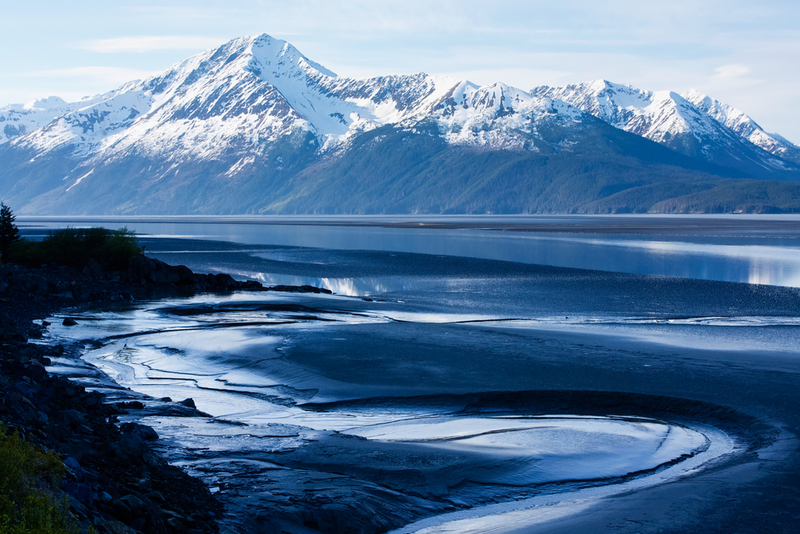 Read next: 11 Gorgeous Stops on the Seward Highway from Anchorage to Seward. Most people are traveling to Alaska in the summertime and the shoulder seasons which include May and September. When I first visited Alaska in the summer I thought there were snowmen and igloos everywhere and that was far from the truth. For example, in July, the average temperature in Anchorage(South Central Alaska) is a balmy 65*. Fairbanks (Alaska’s Interior) has been known to get into the 80s and Sitka (Southeast Alaska) is averaging about 60 degrees. It all depends on which region you decide to visit and what time of the year you will be traveling to Alaska. Read Next: The Perfect Packing List For Your Alaska Cruise to assist you with suggestions of things you will need for traveling to Alaska! 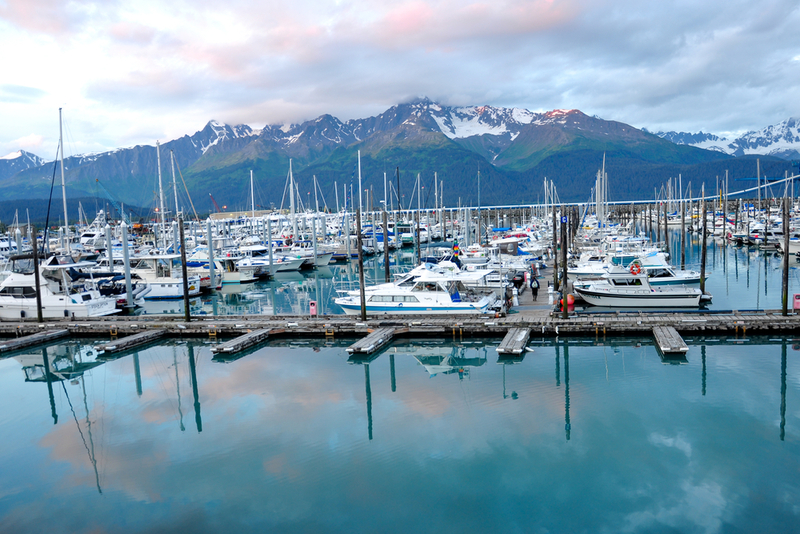 Read Next: 13 Most Picturesque Alaska Towns You Do Not Want To Miss! Again, when I first visited Alaska in the summer I was VERY disappointed I did not get to view the Aurora Borealis. Of course not! Summer is Alaska’s Midnight Sun season. There are summer days when, depending on where you are in Alaska, the sun never sets at all, or for only a mere few hours. That was quite an event to experience! Peak time to view the Aurora Borealis is in the dead of winter when the weather is the coldest. There definitely are opportunities to see the northern lights once the nights are dark, beginning in September when the sun sets between 10 PM and 11 PM. As long as it is dark, there is an opportunity. If seeing the northern lights is a real goal for you and your family, then plan on traveling to Alaska when the nights are dark- from late September until mid-April. My last visit to Alaska ended in early September, and I was so fortunate to see the northern lights and all their splendor in the middle of the night (around 3 AM) when in flight flying to Seattle. Yes, they are as amazing as you think and the pictures you see. 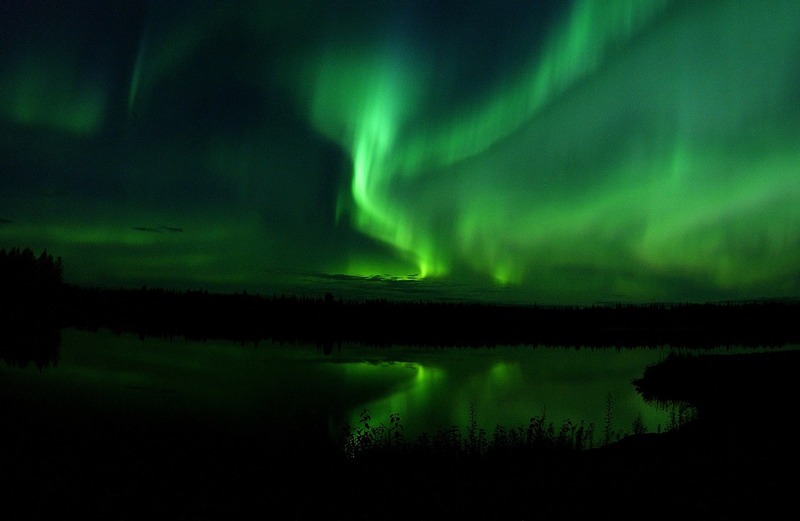 Depending on the season you are traveling to Alaska, make plans to view the northern lights. Read next: 5 Unique Things To Do In Homer Alaska. Do not miss Homer when in Alaska. It is my fave Alaskan City with a very eclectic vibe. 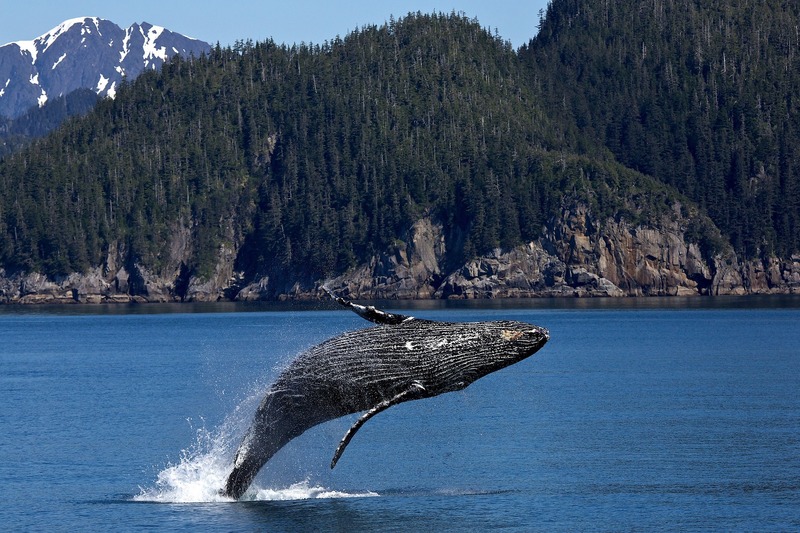 #5) There Are Lots Of Wild Animals In Alaska But You May Not See Any Or You May See A Lot! 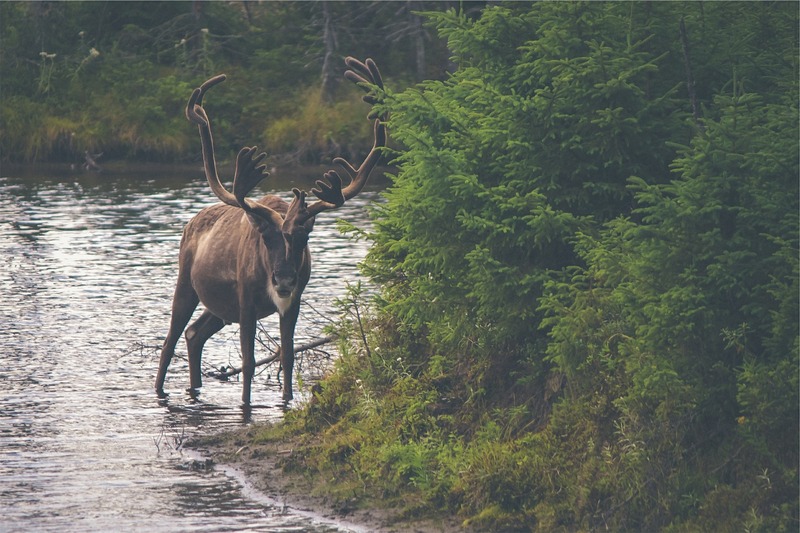 Let us face it, seeing wild animals such as black bears, grizzly bears, moose, and elk are pretty high on just about everyone’s list when traveling to Alaska. On one of our RV trips to Alaska, my family and I did not see any wild animals at all. Not one! Another trip we were driving down a random road in Alaska and a brown bear and her cubs ran across the road. It all depends. And sometimes you have to go searching. If you want the odds to be in your favor, booking a tour can be your best bet. While there are tens of thousands of brown and black bears living in Alaska, you most likely will not casually or randomly encounter them as we did along the road. A bear viewing tour is a way to go. These tend to be on the pricey side because usually you are flown to some random location with the best viewing opportunities. Some tour operators even give guarantees because they know where to find the prime viewing spots. When visiting Alaska’s towns and villages, be sure to inquire with the locals or visit the town’s visitor center and ask about where the best locations to view wild animals are where you are. How about marine wildlife? They can be just as exciting as their counterparts on land. Looking to see killer whales, puffins, and sea otters? For best viewing, these animals require going out on a boat. 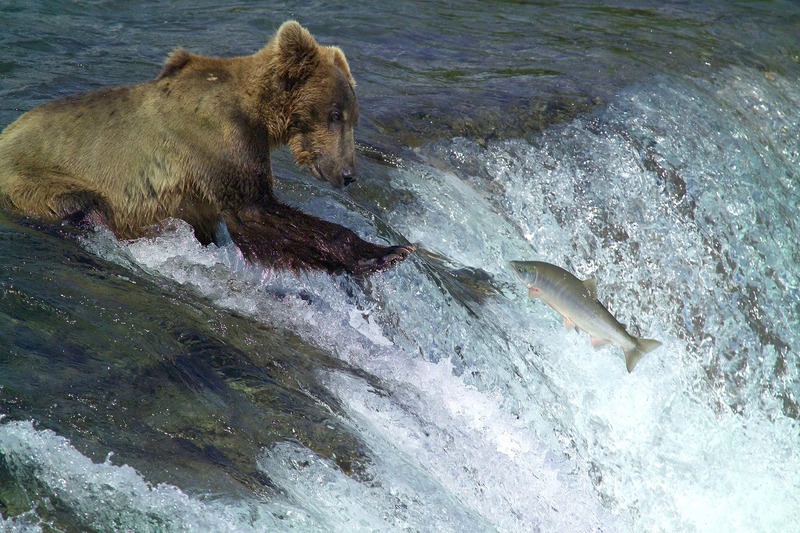 Alaska’s southcentral and Inside Passage cities are prime locations to take a wildlife boat tour. When we were in Seward, Alaska, we took Major Marine Tours Full Day 7.5 hour Kenai Fjords National Park Tour. We saw all kinds of marine animals from whales, to those cute puffins along with several glaciers up close and personal. It was very cold sailing out on the deep waters of Resurrection Bay and we were very glad the boat was heated. There was a ranger from the Kenai Fjords National Park narrating and explaining every step of the way. By the way, NEVER APPROACH a wild animal. See a moose or elk or bear, admire it, do not attempt to feed it. Read next: 5 things to know about Exit Glacier. Do not miss visiting and seeing Exit Glacier up close and personal. It is located a few miles north of Seward. Alaska is divided into 5 regions: the Far North, the Interior, the South Central, the Southeast, and the Southwest. The Far North includes The Arctic Circle and Nome; the Interior includes Fairbanks and Denali National Park & Preserve; the Southcentral Region has Anchorage south to the Kenai Peninsula; the Southeast includes the Inside Passage and the cruise ports; the Southwest encompasses Kodiak and the Katmai National Park. 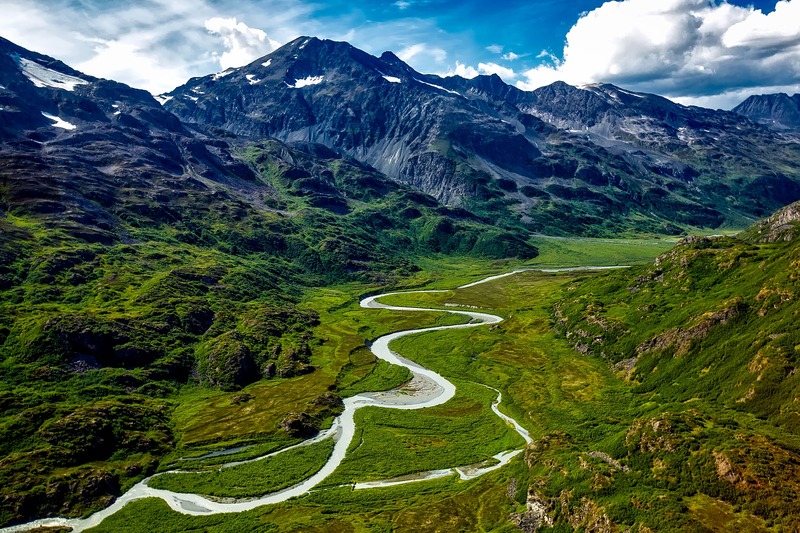 Within these 5 regions of Alaska, you will find unimaginable beauty ranging from blooming wildflowers on the tundra, temperate rain forests (yes, in Alaska! ), 17 of the highest mountain peaks in the United States, desert regions (yes, in Alaska! ), and valleys rich in the history of Alaska’s gold rush days. Glaciers are a big part of Alaska’s landscape. When we were last in Alaska we took a helicopter tour of glaciers with Marathon Helicopters, in Seward. Wow what a different perspective. Matter of fact, we were even dropped off and had the opportunity to walk on a glacier! Highly recommend this experience. What a memory. 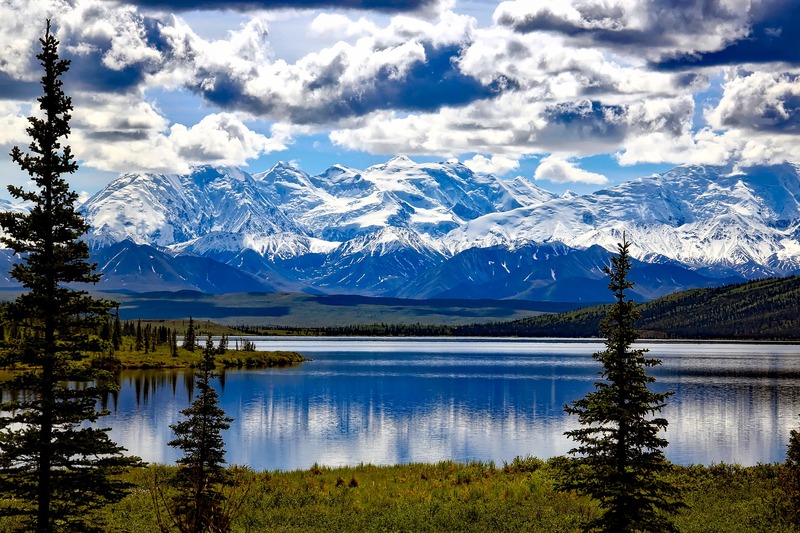 Whatever natural beauty you are looking for, Alaska definitely has it for you. 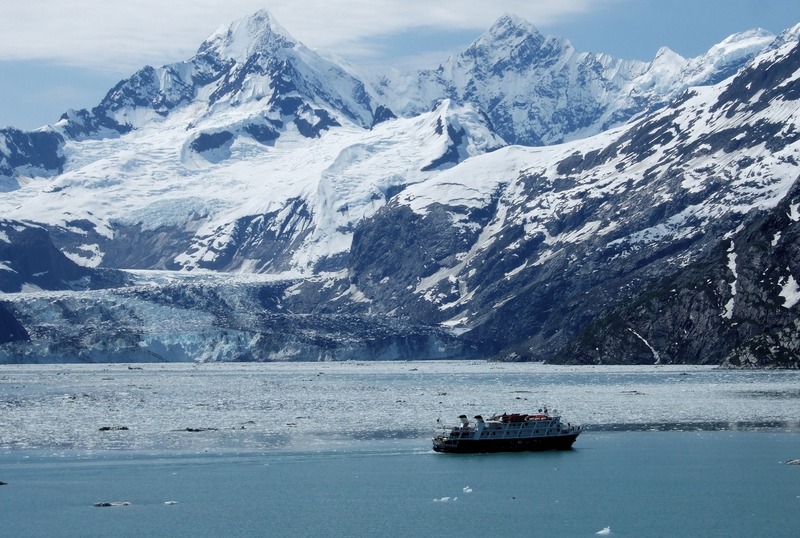 Read next: Traveling to Alaska on your own? Read my Travel Tips For Solo Travelers for inspiration. When traveling to Alaska for my first time, I had no idea how BIG Alaska really is! Alaska dwarfs all other American states with its sheer size. We all think Texas is big, right? Texas can fit inside of Alaska TWICE! Matter of fact, Alaska is bigger than Texas, California and Montana combined. America’s 49th state makes up one-fifth of the total land mass of the entire United States! Traveling to Alaska is a great way to see this remarkably diverse and culturally rich state. There is so much to offer and so much to see, you will want to visit over and over, like I do, to try to see everything Alaska has to offer! Breathtaking view of Cook Inlet while driving along the Seward Highway at Turnagain Arm from Anchorage to Seward. Despite its huge size, wherever you go in Alaska, nature at her finest surrounds you. Alaska has 367 miles of coastline, where glaciers spill over from icefields above them, where the mountains rise up from the water to touch the sky, where you can spot killer whales or otters floating by resting on their backs. Alaska has 17 of America’s 20 highest mountain peaks, the granddaddy of them all being Mt Denali in Denali National Park & Preserve. There are over 3 million lakes 20 acres in size or larger located in Alaska. 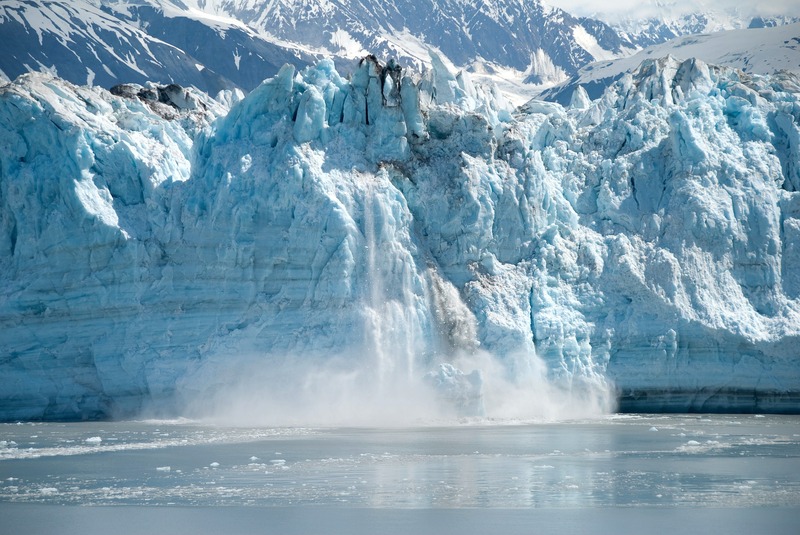 You probably will not have difficulty seeing a glacier because Alaska boasts 100,000 of them. There are about 750,000 people who call Alaska home, and more than half of them live in Anchorage. This leaves a lot of Alaska’s stunning wilderness left for you to discover and explore. Exotic animals are everywhere in Alaska. If you are patient! Alaska is a very unique and intriguing place to visit. Called “America’s Last Frontier,” when traveling to Alaska you will know you are in a special place. That said, the cost of living in Alaska is probably higher than what you are used to or expect. As I already mentioned, the cost of gas is 33 to 50 cents higher than the average American price. Food is more expensive as is lodging. To help curb expenses when we were traveling to Alaska, we shopped and restocked at Fred Myers and Costco in Anchorage instead of purchasing food in the smaller more remote Alaskan cities or towns unless necessary. We mostly always made our own meals, either in our own RV or in the Air B&Bs we stayed at. Being vegan having healthy foods and snacks were a top priority for me. I had no difficulty finding either when traveling to Alaska at the stores I mentioned. Walmart is another store I would highly recommend for food and any supplies, such as camping supplies or additional warm clothes you may want to purchase. Alaskan Walmarts look exactly like the Walmart in your hometown, so you will easily be able to find your way around the store to pick up what you need. Also, here is a secret: Walmart stocks the coolest and probably cheapest Alaskan souvenirs you will likely find. Walmart is another store to check out for food and supplies in Alaska. You will want to make sure to stay hydrated during your entire trip. Bring your own water bottle and refilling it often will help you. Staying hydrated will give you more energy and boost your immune system which will help you fight off any germs which you will encounter while traveling to Alaska. I never leave for any trip without bringing my Bobble filtered water bottle. I find it is a great size to fit into a backpack or tuck into my pocket. It is small enough that it does not add appreciable weight or bulk. It is BPA free and its replaceable filter ensures safe water to drink whenever and wherever it is filled up. A backpack is important to have when traveling to Alaska. Especially on days when you are hiking or taking a tour, you will want a place to store your water bottle, snacks, your phone charger etc. This Columbia Northport backpack is affordable and comes in several colors to select from. And this packable durable travel backpack is another great option when traveling to Alaska because it folds into a little pouch which would help when packing. Make sure everyone in your party traveling to Alaska has sturdy shoes because you will be walking a lot. I always bring a pair of sneakers when I travel because I like to fit in a run or two during my trip. A pair of these Skechers sports women’s fashion sneakers are fairly inexpensive and come in lots of different colors to match with your outfits. These super cute, super colorful Skechers Go 4 walking shoes would keep your feet comfy no matter how long the walk, hike or tour is. For warmer days, or days when you want to dress up, these Vionics walking sandals are great. They are adjustable and have an orthotic arch support no one will know about except you. Both my daughter and I live in our Vionics and they are literally like wearing slippers. These Vionics are flip flops if you like that style better. Yes they are a little on the pricey side, but they are well worth the money. Their orthotic insoles keep you in proper alignment, wear like iron, and feel like you are wearing slippers. Highly recommend. 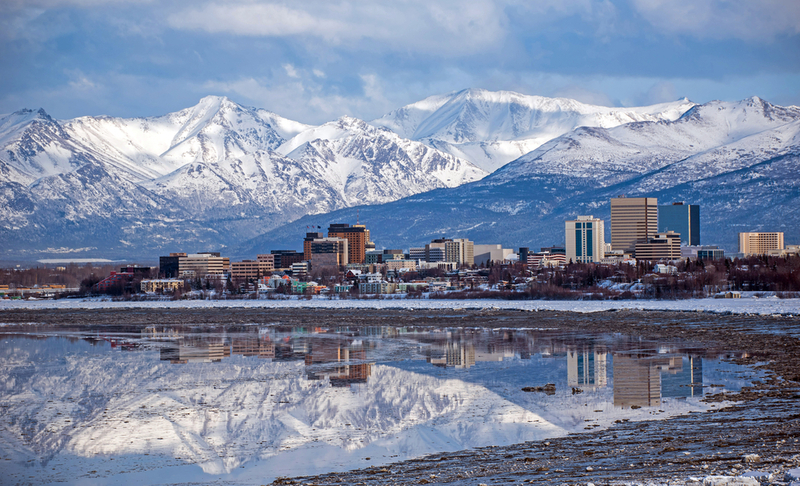 Did you know that Anchorage is the economic capital of Anchorage, but Juneau is the political capital? You will want a waterproof jacket/windbreaker when traveling to Alaska. Not only is cool in the evenings most everywhere in Alaska, depending on when to are traveling to Alaska or the tours you select, a waterproof jacket, like this Columbia women’s waterproof one, would be perfect for any conditions you encounter when traveling to Alaska. Here is a less expensive option, the Cheering lightweight waterproof windbreaker. It comes in several colors too. You will want to protect your eyes from the glaring sun so when traveling to Alaska, bring along a pair of sunglasses with you. These polarized vintage round sunglasses also offer UVA/UVB protection. the polarized lenses will decrease or eliminate any glare. Mirrored lenses are very trendy and these unisex polarized mirrored sunglasses also protect from the sun’s harmful UVA and UVB rays. They are inexpensive and come in some really cool lense options. You may want to bring along some gloves. Depending on the time of year you are traveling to Alaska, the evenings can be a bit chilly. And if you are doing any tour excursions on the waters of Alaska the air temperature is much cooler. These unisex thermal gloves are lightweight and have an elastic cuff that will keep the fingers warm. A hat is another option to consider when traveling to Alaska. This unisex skully beanie is soft and stretchy and comes in many many colors to choose from and will keep your head warm. If you are looking for sun protection, this unisex foldable quick dry sun protective baseball cap is a great choice. It is affordable and comes in many colors. Alaska is full of epic wonders and should not be missed. From the northern lights to the killer whales, the towering mountains, and calving glaciers, traveling to Alaska should be on your bucket list. 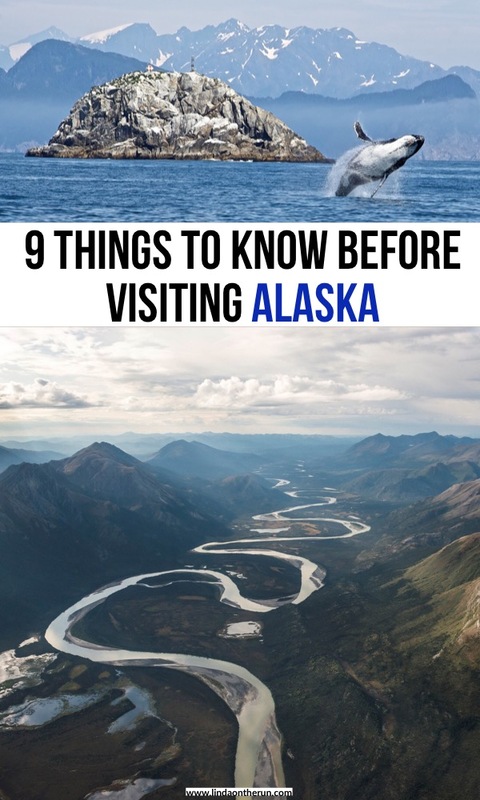 If you are indeed planning on traveling to Alaska these nine tips I have shared with you will help you to have a fabulous and memorable trip. Have you ever visited Alaska or is it still a dream of yours? Let me know in the comment section below. Thank you. I am glad you like my photos and information. Hi! Could you do me a huge favor and tell me exactly where that first picture was taken? I am going to Alaska next month and I would love to stand in that exact spot. Amazing picture. Hope you have a fantastic Alaska trip!